We snapped off the upper and lower ball joints and the front axle. The tie rod and brake line were the only things still holding the wheel on. And pictures from better days. 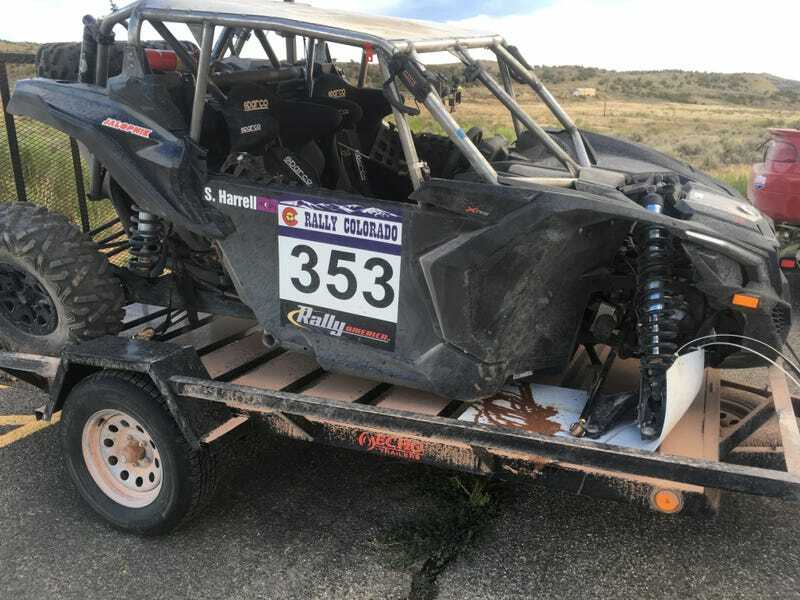 The vehicle is a CanAm Maverick X3XRS, stock aside from cage, seats, and other required safety mods.